Showing results by narrator "Jesse Joyce"
Jesse Joyce doesn't do cocaine. It's not his fault that he has 'a look and demeanor that seems to imply I do a lot of blow.' 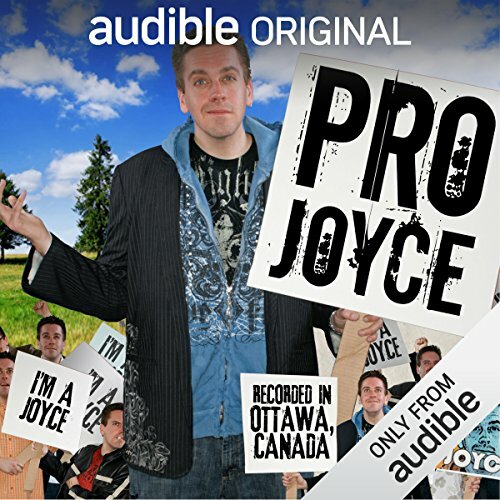 But his jittery, rapid-fire delivery, coupled with a keen pair of 'enormous coke eyes,' helps Joyce deliver big on his debut album, Pro Joyce. Joyce, a well-established roast writer who frequently opened for Greg Giraldo, pairs a sharp wit with precisely the right amount of self-deprecation.